Graphic novel by Adrian Tomine. Comic book artist and illustrator Chris Ware says that whenever he hears the term "graphic novel," he thinks of D.H. Lawrence's Lady Chatterley's Lover. But from the underground comic movement in the 1960s, comic books elevated in form and content, employing novelistic or fictional arcs, creating personal, self-reflective and complex narratives — from Robert Crumb, Harvey Pekar and Lynda Barry to the next generation of comic book storytellers, including Art Speigelman, Daniel Clowes, brothers Gilbert and Jaime Hernandez, and Ware. Simultaneously, the illustration work also elevated in form, borrowing from cinema, with each panel detailed, shaded and organized, from one "shot" or frame to another, using space and expression of character to convey emotion or inner expression. Heavily influenced by the work of Jaime Hernandez (Love & Rockets) and Japanese manga artists, such as Yoshihiro Tatsumi (The Pusher Man and Other Stories), 19-year-old Adrian Tomine started out self-publishing his own comic book, Optic Nerve, in 1991. He soon received recognition, publishing his short strips, usually presenting himself as the main character, in Pulse!, a free magazine supplement distributed by the now-defunct Tower Records. This work was raw, filled with the painful isolation and confusion of late adolescence and early adulthood. With the aid of publisher Drawn & Quarterly, Tomine's work quickly grew, both in the illustration and in the narrative. Tomine, a Japanese American who grew up in Sacramento, also began to explore his own sense of self within an ethnic lens, introducing readers to a number of different characters, each of whom has distinct, unique perspectives on their Asian American heritage. Putting his English Lit. degree from U.C. Berkeley to good use, Tomine employed a literary narrative to this exploration. The ascent in his storytelling is evident from his earliest collection, 32 Stories: Complete Optic Nerve Mini-Comics, to Sleepwalk and Other Stories, to Summer Blonde, each improving on the previous in character development, story arc and illustrative detail. 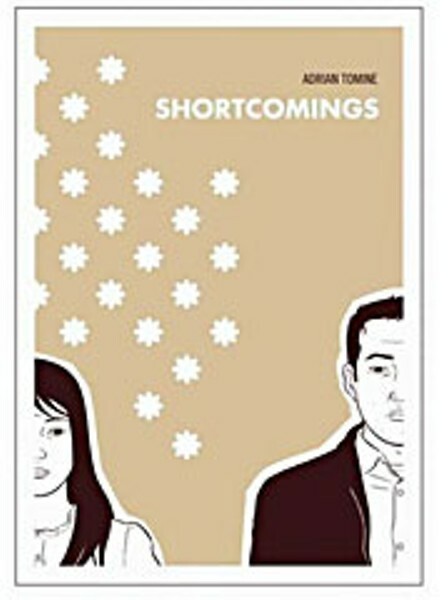 With his new book, Shortcomings, Tomine reaches a plateau, a culmination of what he has been striving for: creating a strong story with diverse characters and sharp dialog, while making each panel artistically precise. Shortcomings is centered around Ben Tanaka, a Japanese American with a Pekar-esque crankiness who grew up in Corvallis, Ore., and who now lives in Berkeley. His girlfriend Miko, who is also from Japanese parents, is the director of the "Asian-American Digi-Fest," an Asian American film festival. Her politicization of race and culture in the U.S., is increasing, while Ben firmly denies ethnicity as an issue. Yet with each step he makes, Ben seems to constantly question or have dialog about race. His best friend, Alice Kim, is a promiscuous, outspoken lesbian, who still is striving to appease her Korean parents, denying her own sense of true self. This provides the perfect landscape to mine — the essential gray areas of race and ethnicity, while struggling to find identity in the U.S. and in the midst of complex relationships (sexual or otherwise). The main characters have a number of different flaws and hypocrisies that make them ... well, real. Tomine stays loyal to the characters, allowing them to dictate the narrative. Ben, along with the rest of the main characters in Shortcomings (a pun in the title to an Asian stereotype and "size"), are in transition — in attaining freedom to explore his or her individual identity, while, at times, stumbling forward in the journey. In short, Shortcomings is a triumph.